managers and teams who are keen to involve to involve guests in this eco-friendly approach. Camping Qualité is based on a simple idea: it is THE national and official quality charter for your camping holiday! What’s more, thanks to our website, you are only a click away from finding your perfect holiday accommodation from among our 986 member campsites across France. We list over 1,001 places to visit, making it easy for you to choose your next outdoor destination. 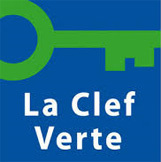 The Camping Qualité Association was set up by the Fédération Nationale d'Hôtellerie de Plein Air (National Federation of Outdoor Accommodation) and consumer representatives (F.F.C.C., the French Camping and Caravanning Federation), with the support of the Ministry of Tourism. 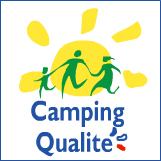 Camping Qualité is a voluntary initiative which is open to all campsites, private or municipal, large or small and whatever their rating or location. It meets the common quality expectations and demands of both consumers and professionals with regard to facilities and services. 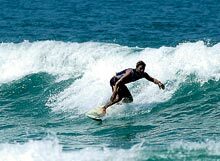 It allows professionals to improve the quality of their services on an ongoing basis and guarantees high quality holiday accommodation for consumers, regardless of the size or ranking of the campsite chosen, whilst ensuring a wide choice of destinations, rates and types of holiday (active, restful, beach, mountain, inland, close to towns...). It provides tourism promotion bodies with the assurance that they are basing their activities around a network of good quality campsites.